Barnsley College students from the Music, Media and Performance department have been working in partnership with theatre company QDOS Creates and the NHS to raise awareness of their Stop Smoking campaign. Level 2 Media students were given a live brief from the Barnsley NHS Stop Smoking Service to produce a poster design highlighting the dangers of smoking and the effects it can have on others through passive smoking. Performing Arts students then used the messages from these posters to create a short 10 minute physical theatre performance piece in conjunction with Barnsley-based theatre arts charity QDOS Creates. 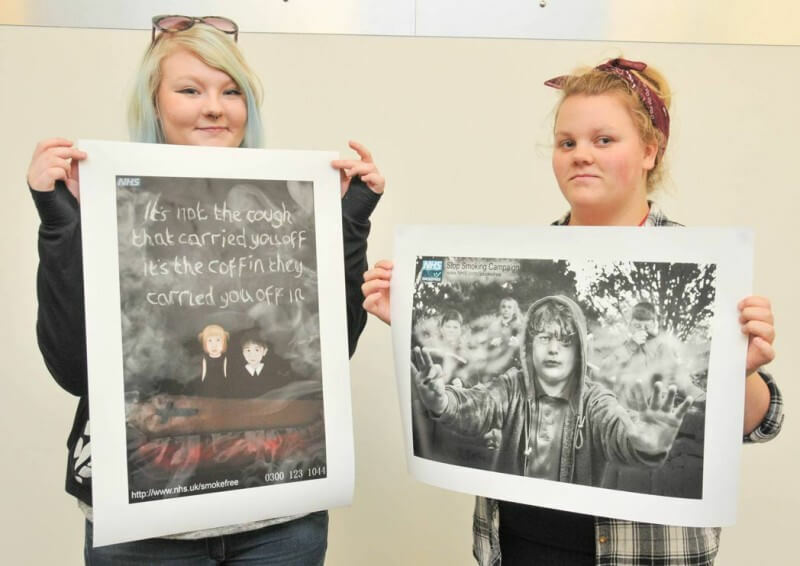 The thought-provoking piece was performed alongside the display of posters to an invited audience of public officials, Councillors and public health professionals as well as other students at The Core on County Way. There are still places available on Barnsley College courses in Music, Media and Performance, please contact the Information Unit on Tel: 01226 216 123 or email info@barnsley.ac.uk for further details.